FREE SHIPPING IN THE USA Based on the hit custom action figure by Hunter Knight Customs, you can now own a piece of the evil FORCE CAPTAIN to differentiate her from her "good" self. 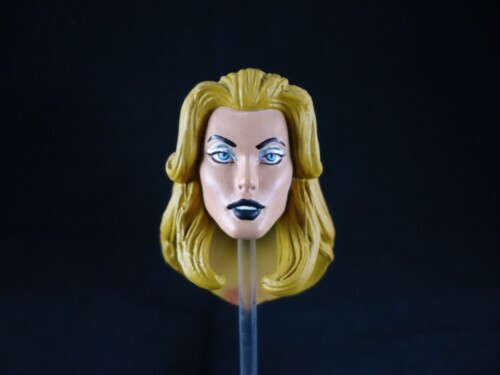 This is an authentic head that has been profesionally repainted by Chris Hunter from Hunter Knight Customs in more appropiate "evil" colors to better match her affiliation with the forces of evil. Is easily swappable for the stock one! Now you can have 2 different captains, One for evil, another one for the rebels. Shipping is free in the Usa (all 50 states)Stand not included.